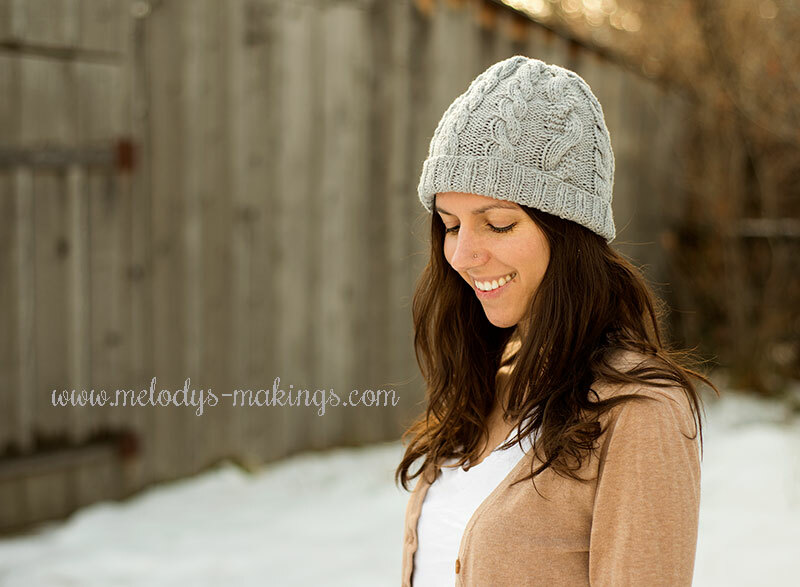 The Grey Days Hat is a stunning new free knit hat pattern that I’m thrilled to feature here on the blog today! I’m a big fan of cables, and the amazing cabling featured in this project takes that love to a whole new level. 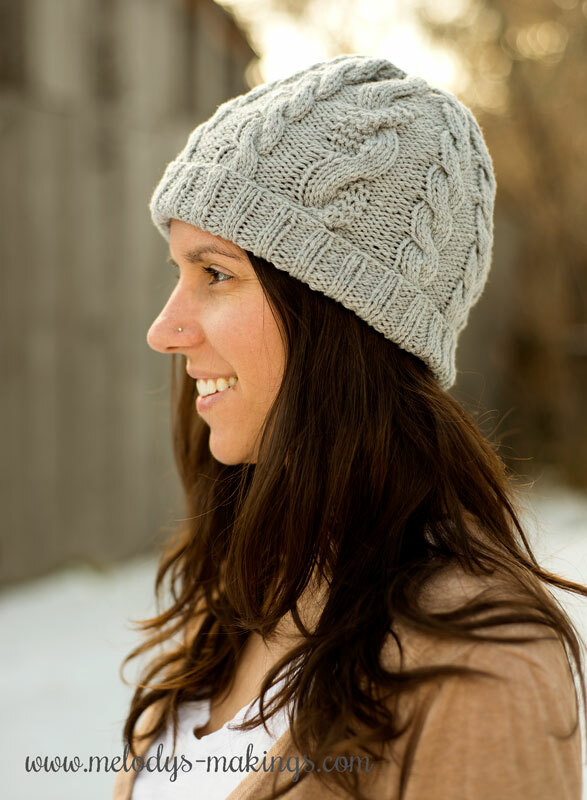 Make with DK (3) yarn, this adult knit cable hat pattern is filled with detail and a beautiful project to knit. Thanks to Marie Segares for contributing as part of my Guest Designer Program. 1. Share this blog post with your crafty friends. Please use the handy social sharing buttons at the bottom of this post so your crafty friends can take advantage of this free pattern too. 2. Input your name and e-mail address into the form below, and you’ll receive an e-mail from me with the pattern attached within 2 hours. Enjoy! 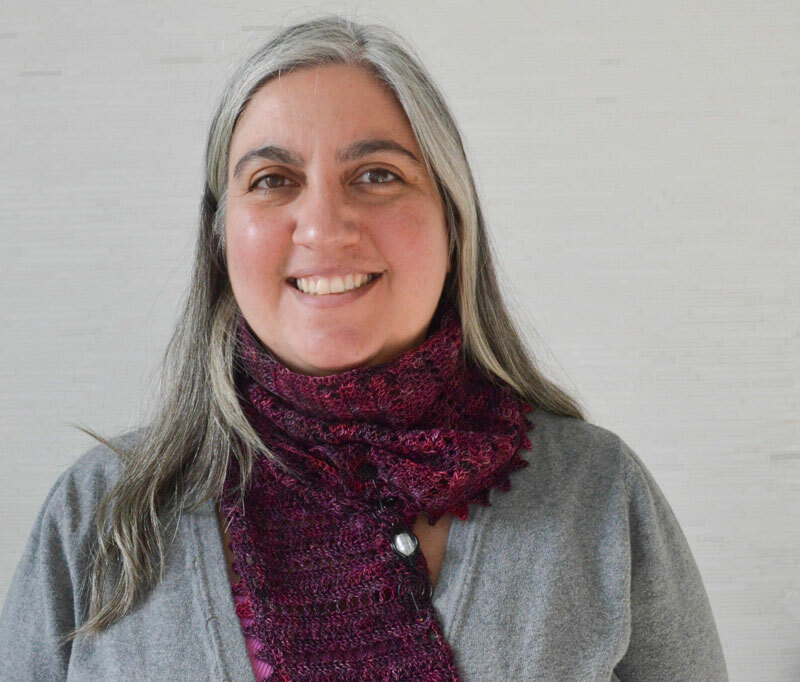 Marie Segares is the crochet and knitting designer and crafts blogger known as Underground Crafter. She believes in doing something with her hands everyday. 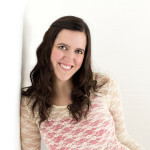 You can get free crochet and knitting patterns, craft tutorials, recipes, and more on her blog. Visit Marie’s website, Underground Crafter, by clicking here. I can’t seem to download this lovely hat. I keep being passed back and forth between Ravelry and this page… Any helpful hints? Also- although I have favorited saved this in my library, and found the queue tab. I’ve no idea how to queue my patterns (nor do I really get why I would- but happy to, if it helps you and the other designers.) I’ll get to it, when I have time. Queuing it will only lead to feeling badly that I didn’t get to it yet, and I don’t really need/want that in my life.Thanks! I, too, love cables! The more the better! Love the hat pattern! Thank you! The gray days hat pattern won’t download. Keeps telling me link isn’t working. Please email me at melody@melodys-makings.com. Wow, this hat looks great , I love your choice of colours! Nice looking pattern. Can’t wait to try it! I am just learning to knit. Hoping to get to this level soon. Great hat to make for a special gift!! Very pretty. Will make it soon Thx. Simply amazing! I love the stitches in the cables, it’s totally new, different, and beautiful. So sad that I can’t knit for anything cause this would be perfect for the Almost Home Project!!!! 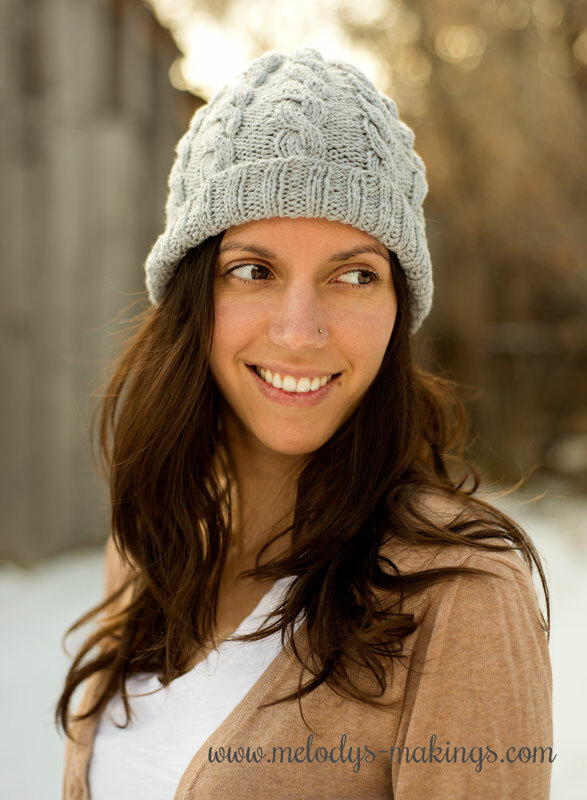 I have been trying unsuccessfully to download the Grey Days Hat pattern. I would love to have your lovely grey days hat pattern, but did as i was told and have not received it yet, please let me know if i am doing something wrong, Thanks. Hello! The email may be getting stuck in your spam or promotions folder. If you don’t see it there, please email me at melody@melodys-makings.com and I’ll make sure you get it. Thanks!